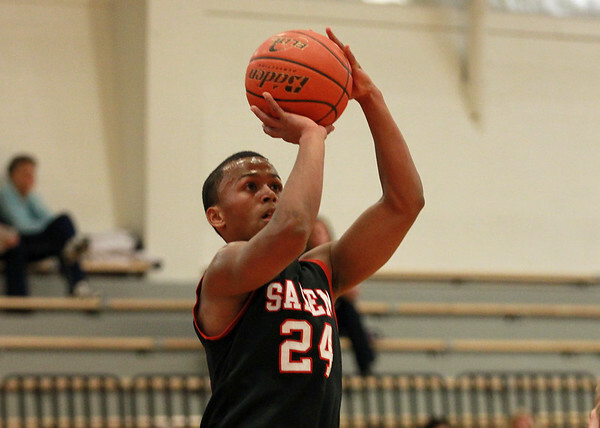 Salem junior guard Kelven Perpetuo (24) lines up a 3-pointer against Beverly. DAVID LE/Staff photo. 12/16/14.